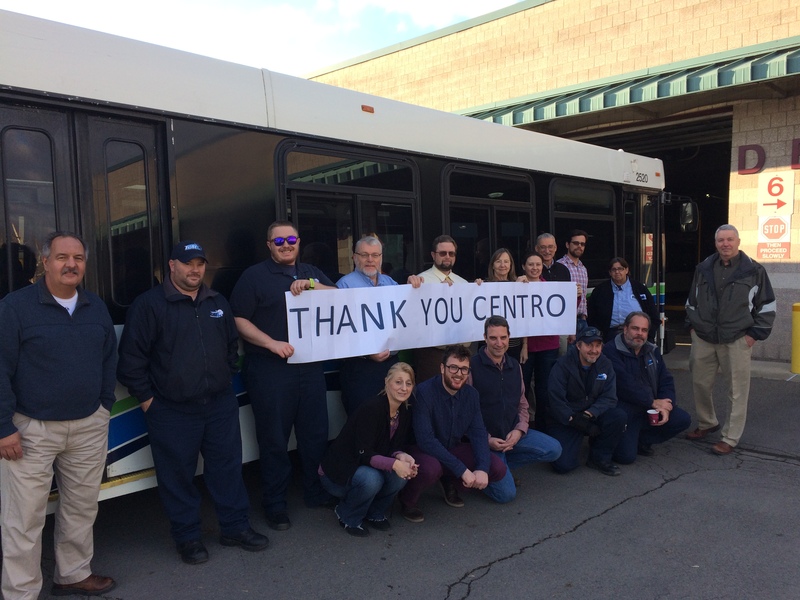 Upon the request of TCAT General Manager Scot Vanderpool, Centro CEO Rick Lee last week quickly agreed to lend two 40-foot 2005 New Flyer diesel buses, which TCAT bus operators and a mechanic transported back to Ithaca on Fri., Dec. 1. After they pass the required state inspections, the buses will be put into service. TCAT has already ordered and expects to receive 11 brand new Gillig buses to replace older buses in February, but needs help in the meantime to get through “a rough patch” with equipment failure and bus shortages ─ both of which force TCAT dispatchers to make the difficult decision to pull trips, thus, inconveniencing riders, Vanderpool said. In October alone, TCAT reported 90 missed trips due to bus shortages. Though TCAT pulls trips on high-frequency routes so that passengers can catch the next bus within a relatively short time frame, any missed trip is unacceptable, Vanderpool said. Despite an 11th-hour financial offer, the Ontario County Board of Supervisors has terminated its contract with the company that runs the county bus system. At their meeting Thursday night, supervisors voted to end their contract with MV Transportation and join the Rochester-Genesee Regional Transportation Authority. The only dissenting vote came from Canandaigua city Supervisor David Baker. The decision largely came down to finances following a decision by state officials to have a Syracuse company arrange transportation for non-emergency Medicaid patients in Ontario and other upstate counties. The move resulted in fewer of those patients taking County Area Transit System buses and MV Transportation receiving less Medicaid reimbursement. 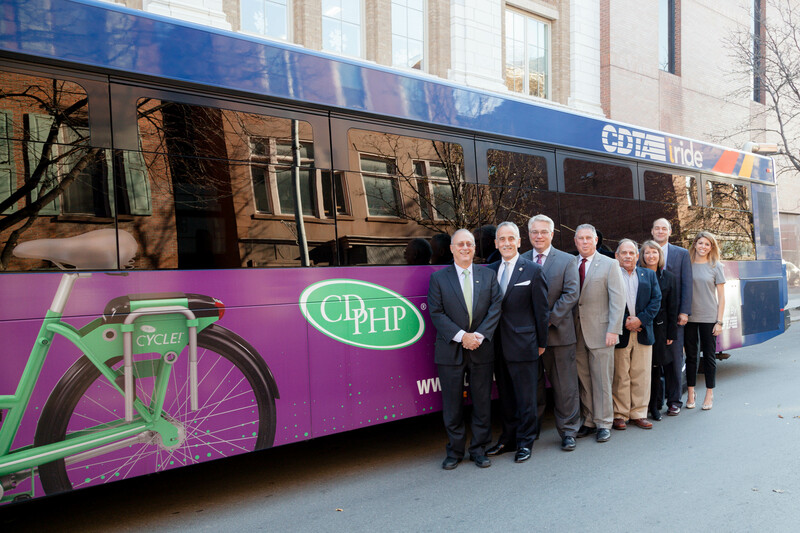 The Capital District Transportation Authority (CDTA) and CDPHP wrapped up the inaugural CDPHP Cycle! riding season with more than 11,000 trips taken and nearly 2,500 members in Albany, Schenectady, Troy, and Saratoga Springs. The Bus Coalition and Community Transportation Association of America are excited to join Co-Chairs Congressmen David Young (R-IA) and Rick Larsen (D-WA) to announce the official launch of the Bipartisan Congressional Bus Caucus (BCBC). The purpose of BCBC is to give a stronger voice to the over 1,100 bus transit systems across the country and highlight the need for adequate federal funding of bus transit programs. A coalition of organized labor and social justice groups are calling on D.C. lawmakers to stop the District from contracting out public transit services, saying the private firms that operate the Circulator bus system and D.C. Streetcar fail to provide reliable service to riders and treat their employees poorly.